The role of the company environmental manager has swiftly risen in prominence to becoming a highly responsible and influential part of any green thinking company. Whereas once the role of the environmental manager was a minor one limited to scolding fellow employees for failing to switch off their workstations at night, or for disposing of their waste paper incorrectly, the increased importance of environmental factors in company practice has led to the increased stature of the role. Now a full-time profession with considerable responsibilities, the company environmental manager is now a much prized role in the ‘green jobs’ sector. The environment has become an unavoidable aspect of company life. Many organisations are now faced with complying with a raft environmental legislation and having to meet stringent green targets. There is also a growing awareness of the financial implications associated with environmental risk and their effect on the bottom line. To help deal with this new aspect of working life, it’s now commonplace for companies, both large and small, to employ an environmental manager or officer to co-ordinate the management of their environmental performance. Develop environment awareness materials for clients and company employees. 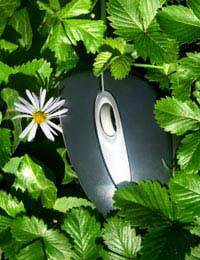 At one time employees could become their company’s environmental manager simply by displaying sufficient enthusiasm for all things green. However, the increased significance of the role has naturally led to increase demand for a candidate with appropriate qualifications and experience. Generally speaking the larger or more environmentally committed the organisation the stricter they are on necessary qualifications and experience. Most applicants have an MSc, with appropriate subjects including biosciences, engineering, environmental sciences, and physical and applied science. Those interested in future employment in environmental management can now take a degree focused specifically in that area. There are opportunities for candidates with lower levels of qualifications. For instance it is possible to start out as a technician and then progress up the ranks through study. The Institute of Environmental Management and Assessment (IEMA) offer a specialised environmental management course. Appropriate work experience achieved through vacation or sandwich placements at a science or environment-related job can also prove useful in attracting employers, as can an involvement in voluntary work. In addition to academic qualifications, being a member of a professional body such as the Chartered Institution of Water and Environmental Management (CIWEM) can be very helpful. CIWEM offers training, debating, networking and socialising opportunities, and a student membership scheme that can provide useful contacts for the future. Membership of the IEMA, an international non-profit organisation established to promote best practice standards in environmental management, auditing and assessment, is also much prized by potential employers.